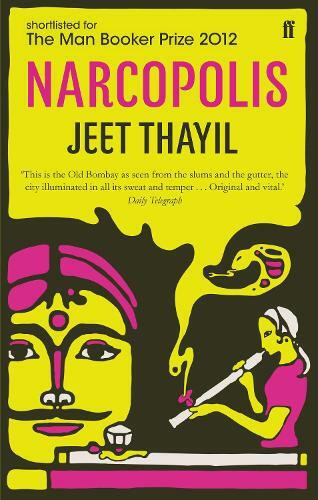 Shortlisted for the Man Booker Prize, Narcopolis is a rich and hallucinatory novel set around a Bombay opium den, as the city transforms itself over three decades. In Old Bombay, they say you introduce only your worst enemy to opium. But in Rashid's opium room on Shuklaji Street, the air is thick with voices and ghosts. A young woman holds a long-stemmed pipe over a flame, her hair falling across her eyes. Men sprawl and mutter in the gloom. And now there is an underworld whisper of a new terror: the Pathar Maar, the stone killer, whose victims are the nameless, invisible poor. In broken Bombay, there are too many to count. Stretching across three decades, with an interlude in Mao's China, Narcopolis portrays a city in collision with itself. With a cast of pimps, pushers, poets, gangsters and eunuchs, it is a journey into a sprawling underworld written in electric and utterly original prose.